Find the best 2 week tours and trips starting from Casablanca. Choose from 29 tours - we've found the most popular time to visit is in September with the most number of tour departures. "Good tour. Group was fun. Tour guide was knowledgeable and fun"
"Chahine did a wonderful job. Knowledgeable, fun and engaging. 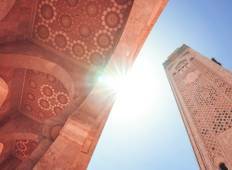 Not only did we see..."
"I love Morocco. 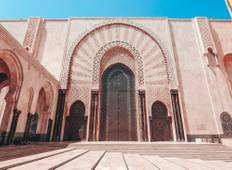 I love all of the destinations which the tour has already covered..."
"I was really dubious about a group tour, but I won an Intrepid trip to Morocco, so..."